Australia is a wonderful place for skilled workers keen to do a job in one of the most developed global economies and earn very good pay packages. 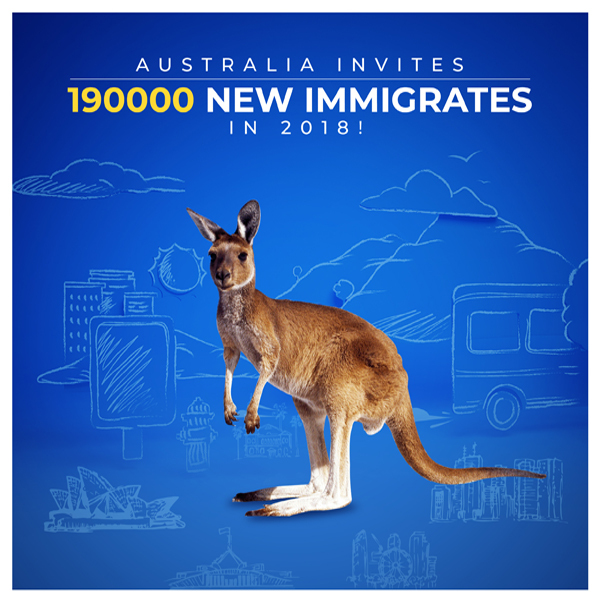 The good news is that the overseas hotspot appreciates the worth of the skilled young workers and gives them numerous good skilled visa options to choose from, to apply for an Australia Permanent Residence (PR) Visa. Out of these options accessible, the Australia Skilled State Nominated (Subclass 190) Immigration Visa is a very good one. It is an Australia PR Visa for the points-test skilled employees who wish to do a job and stay in the overseas hotspot, post pocketing nomination from an Australian state or territory government agency. This wonderful Australia Immigration Visa is basically a state sponsored visa. With a view to submit an application for this prized visa, you require presenting an Expression of Interest (EoI) and then getting an Invitation to Apply (ITA), via Skill Select, to submit an application. It hardly matters where you are at the time of applying as you may be either in or outside Down Under when you apply for this specific visa and also when it is offered to you. You may be entitled to apply for this visa if you have an invitation. Besides, you need to have nominated a profession that finds a place in the applicable SOL. You must have gained suitable skills assessment for that profession. You must be younger than 50 years. You must have obtained the score specified in your letter of invitation on the basis of the factors given in the points test. You must have not less than competent English language skills. You must have been nominated by a state or territory government agency of the country. This much sought after Immigration Visa for Australia provides every benefit of PR in the country for you and your family. For example, you can do a job and reside in the hotspot indefinitely. You also get a chance to enroll for any study course in the country. You may also register in Medicare–Australia’s highly useful state-run healthcare programme and gain from it. You also become entitled to apply for the cherished Australian citizenship and get it (of course, if you play your cards well). You may offer sponsorship to your relatives for PR. And, last but not the least you may move in and out of the Kangaroo Land whenever you want, and as per your particular needs. In view of the benefits mentioned above, and also your overseas dreams, apply for Australia Skilled State Nominated (Subclass 190) Immigration Visa! Speak to any of the well-known and trustworthy visa agents dealing with Australia immigration, and get help and guidance to successfully manage the lengthy and tricky Australian visa process!